I'm so sorry this post is a bit late, but you do still have 2 days left to enter the Melonheadz Winter Holidays challenge! My new work schedule managing a restaurant has consumed so much more of my time than I realized. Unfortunately, I will have to step down from the DT there. 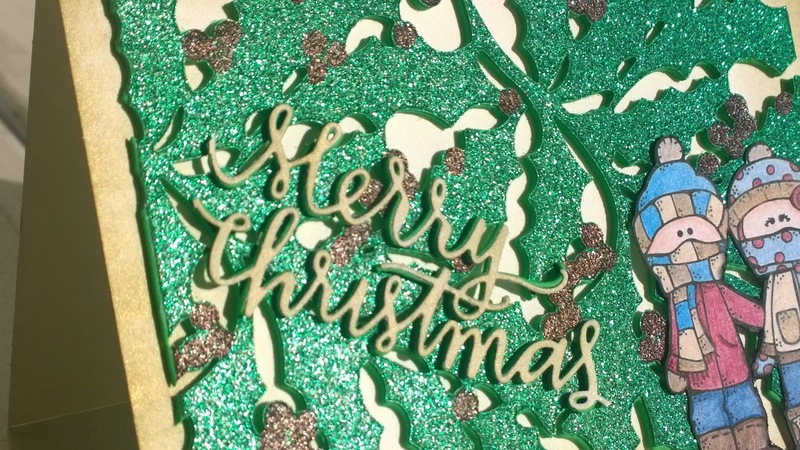 I miss my crafting terribly and will miss the wonderful spirit of the other crafty designers on the team! 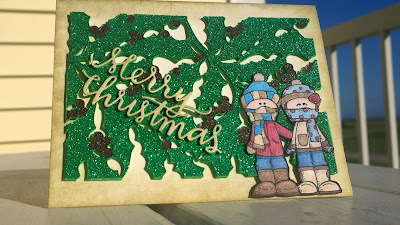 I used my favorite medium on this card...you guessed it, Prismacolor Pencils! 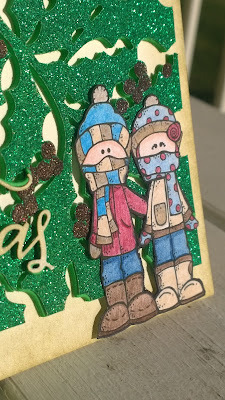 This cute couple was then fussy cut and adhered using foam tape. 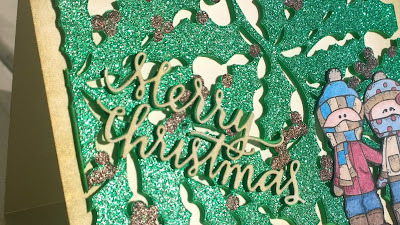 The gorgeous holly leaf die cut background is a Cuttlebug cut and emboss die called Holly Layer. Just adore how it came out on green glitter card stock! I also cut a matching piece from green fun foam sheets to give it some dimension. 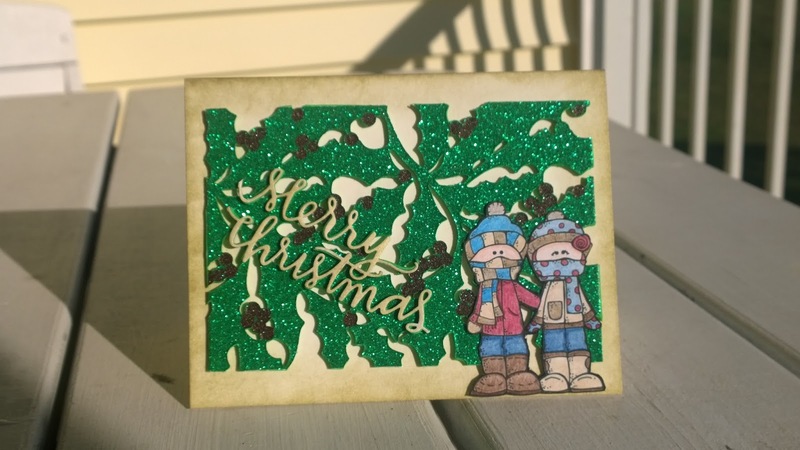 Link up your wonderful holiday creation for a chance to win digital stamps!